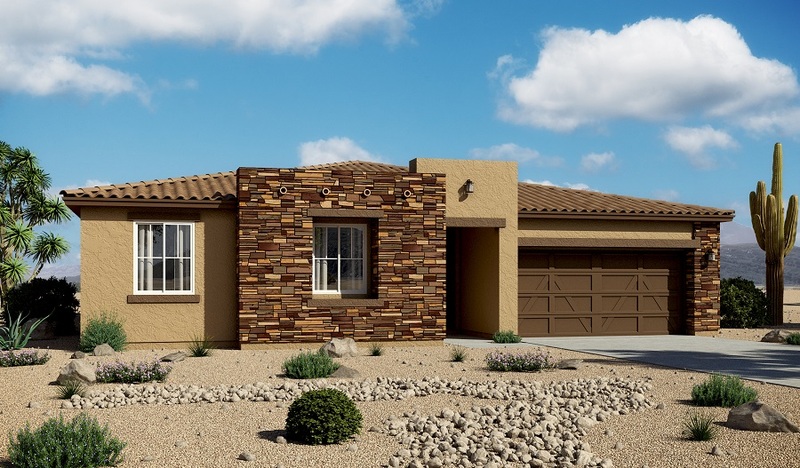 The ranch-style Delaney plan offers an open layout with a great room, a breakfast nook with a bay window, and an impressive kitchen featuring maple cabinetry, granite countertops and a convenient center island. The master suite is adjacent, and offers a large walk-in closet and a private bath that includes a shower with stylish tile accents. You’ll also find a dining room, a laundry, two additional bedrooms, a bath and a lovely covered patio. This home features 18'' ceramic tile flooring and carpeting in all bedrooms.